One of the core concepts behind SuperConsciousness is that we are inextricably connected with everything around us. Over the years, we have written articles and interviews that attempt to show how our thoughts and actions affect our body and the environment. Becoming aware of this and acting accordingly is a big part of what being super conscious is all about. 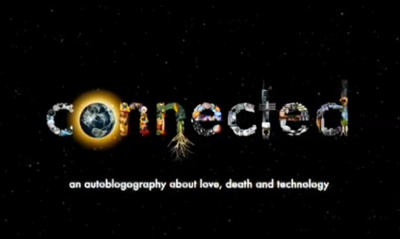 That is why when I saw a trailer to a movie called, Connected: An Autobiography about Love, Death and Technology, on Facebook, I was very excited and eager not only to watch it but to talk to the people behind the project. My attempts to contact the filmmaker took longer than I had expected and by the time I was able to set up an interview to talk about the movie, its creator, Tiffany Shlain, was already onto a new and fascinating project of Cloud Filmmaking called, Let It Ripple: Mobile Films for Global Change. It was described as “a new short film series that leverages the creativity of individuals and organizations from across the globe.” Each of these films invites participants to send in videos from their cell phones and after the film is completed her team makes free customized versions for non-profits all over the world. At the time I spoke with Tiffany, she was getting ready to release the third short film in the series, Brain Power: From Neuron to Networks. This interview concentrates mostly on the content within this film and its accompanying TED Book which explores the analogy between the internet and the human brain, particularly the developing brain of a child from 0 to 5 years old, which is the time when most of our neuronal connections are made and pruned to define our personality. It is also an important call to take agency in the development of the internet and its accompanying technologies which are rewiring our brains and to use our mindfulness to help develop and define the future of our global brain. Tiffany Shlain is a filmmaker, artist, founder of the Webby Awards, and co-founder of The International Academy of Digital Arts & Sciences. She was honored by Newsweek as one of the “Women Shaping the 21st Century.” She is a Henry Crown Fellow of The Aspen Institute, and member of the advisory board for M.I.T.’s Geospatial Lab, The Institute for the Future, and she was invited to advise Secretary of State, Hillary Clinton on the internet and technology. Her films and work have received 50 awards and distinctions including a “Disruptive Innovation Award” from the 2012 Tribeca Film Festival. Her last four films premiered at Sundance, including Connected, which the US State Department just selected as one of the films to represent America at embassies around the world for their 2012 American Film Showcase. I encourage you to watch all the films from the series available, and the feature film Connected, to share the powerful and inspiring messages in them and to collaborate with her upcoming films. SuperConsciousness: In the intro of the Brain Power book you say that this project combines four of your greatest passions: family, filmmaking, understanding why humans do what they do and the evolution of how the internet works. Can you tell our readers about your background on how these passions did emerge? 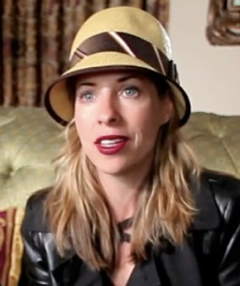 Tiffany Shlain: In a lot of ways. I just had a feature documentary called, Connected, that was in theaters last year and is just about to be released online and on DVD. 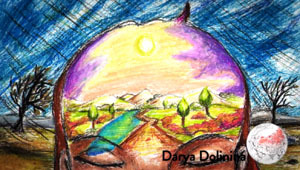 In it, I explore the history of our connectedness, where we are today and where I think we’re going, from the Big Bang to today. It also has a very personal story as a part of it. I explore a lot about the brain. My mother is a psychologist and my father was a surgeon who wrote a lot about the brain. And when we finished with it, I began working on the Let It Ripple film series, which is putting a lot of ideas from Connected into action. Like how could we create something collaboratively with people all over the world? Also, I have always felt like technologies are just an extension of us. People talk about technology as if it’s this other separate thing but I feel like it’s a technology of our hearts, our brains, our desire to connect, to learn and search for knowledge. So one of my mentors started giving me a lot of research about early brain development and how from zero to five is when children’s brains have the most neuroplasticity. And every time I was talking to these neuroscientists, so much of the language that they used felt like I was talking to my internet peers. So it dawned on me that while people have talked about the internet as a global brain, I don’t think I had ever heard of it talked about as the first five years of life and, metaphorically, we’re kind of in those first five years where there’s lots of malleability and not all the parts are connected. It was really helpful to think about how, just as we need to be super mindful on how to develop young children’s brains based on all this new research, we need to be just as mindful on how to develop this global brain of the internet. It felt like a lot of strategies I was learning about children could be applied to the Web and a lot of thinking around the Web could be applied to the children. I’m also a mom of two little kids, plus my background with the Webby Awards, so I’ve been looking at the internet and the Web for a long time. SC: Let It Ripple, is going to be a series of films. What are some of the other topics that you plan to include in these series? TS: Brain Power, is the third one of the series. We did one called, A Declaration of Interdependence. And then we did, Engage, where you see people put their hand on their heart and that one was really exciting. We just released it a month ago. And the whole concept of the Let it Ripple films, is we asked people all over the world to send us videos and artwork and we spend a lot of time putting it into a movie, a short film, and then we offered to make free versions for any non-profit in the world that’s working to make things better. In just one month, we have received 200 requests from non-profits. We are making them as quickly as we can. So that was the second one, then, Brainpower. We’re doing one on Empathy, Curiosity, Generosity, Grief, Failure, Death, Wisdom, all the aspects of what makes us human. So we’ll be doing probably 15 short-films over the next four or five years and they will all become the backbone of our next feature film. There is going to be a new film about every three months. Like, okay, let’s explore generosity. I’m so interested in this stuff anyways. Let me explore this topic with people all over the world and have them send me videos about it. It’s very fun. SC: A distinctive characteristic about these films is what is called Cloud Filmmaking. Can you explain for people who are not familiar with this concept what it is and what has been your experience? TS: We are just trying to push the boundaries of all these tools to collaborate creatively. We call them Cloud Films, because it’s a new way of making movies with people. It has certain qualities and things that are critical to us to be a Cloud Film, which is we receive from people and we give back. These are all funded through a very generous grant which we’re very grateful for. We’re able to really push the boundaries of what we’re able to do. So Cloud Filmmaking, we feel like it’s a beautiful big word that is big enough to encompass all these elements. We have a Cloud Filmmaking manifesto which people can read on our site which the TriBeCa film festival finished last spring and we list out all the qualities of Cloud Films, you know, get it translated. Our first Cloud Film, six weeks after it was released, we invited the world to help us translate it and it was translated into 65 languages in six weeks, so it is very exciting. SC: About how many videos do you receive, how many people participate each time? TS: Each film we get more and more; we get hundreds. I mean, it’s nice. It’s not at the level where we can’t handle it, but each time we get from more different countries. It’s still manageable. It’ll be interesting, as each one of these films happens, we get more and more people that are part of it and we’re a small team. We do a lot. SC: What criteria did you use? What is the process in choosing which clips you end up using? TS: That’s part of the creative process. We try to get everyone in there at some point even if it’s in this multi-image shot. But we’re trying to get the right balance of people from different places and the right expression, mood and emotion. Part of me is saying, let’s make another part of the cloud, but there’s a certain part that has more to do with the creative direction which you do when you make a movie, putting it all together in a way that creates emotion, inspiration and movement. SC: You already mentioned this to some degree at the beginning of our conversation, the analogy between the internet and the brain of a child in the first five years when it’s developing its neural connections. What are some of the most important analogies between these two aspects that you have found from your research? 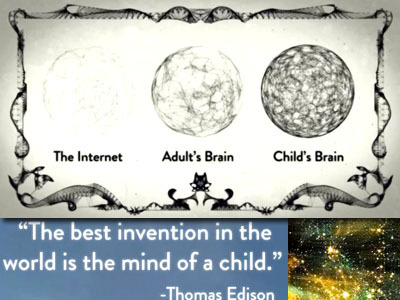 TS: When the neuroscientists say that a child is born with 100 billion neurons but they’re not connected yet, and the goal is you want to get the most different parts of the brain connected in order for a child to start having insights and creative thoughts. I feel like that’s the way we are with the internet. Right now we only have like two billion people online and there are seven billion people on the planet. So we’re not going to truly see the full potential of the web until we get everyone who wants to be online, online. The most diverse perspectives, the most people from different parts of the world, and then we are going to have insightful thoughts that we can’t even imagine in innovation because we have all these different perspectives connected. Right now we’re not all connected; there’s a huge digital divide. So that’s one example. I also feel like just as a child can be overstimulated and overstressed, I think a lot of us individually feel overstimulated and stressed with technology. My family and I personally do technology Shabbats where we unplug one day a week, and it has really changed my life. I really needed that because I was feeling like my brain was overstimulated all the time. SC: What are some of the ways in which this overstimulation, this constant use of internet and mobile devices is changing our brain? TS: There’s no question to me it’s changing our brain. Any time you do anything, you’re influencing it. The environment has such an influence on the synapses. So I don’t think any of your readers or anybody would say that they don’t do 90 percent of the things they used to do, differently now. Whether it’s the way they work, the way they communicate with their friends and family, it’s so different that we are rewiring our brains. There’s no doubt to me — and some of it is very good — we’re extending our minds, our memory, our ability to connect ideas. But the other part which I think is bad, is that we are overtaxing, overstimulating, and a lot of times not being present with the people right in front of us. My father used to always talk about this quote by Sophocles that says, “Nothing vast enters the life of mortals without a curse.” In the book, I talk about how I’m simultaneously in awe of all that we do with technology and I struggle with it. We’re not going to truly see the full potential of the web until we get everyone who wants to be online, online. The most diverse perspectives, the most people from different parts of the world, and then we are going to have insightful thoughts that we can’t even imagine in innovation because we have all these different perspectives connected. SC: One of the most powerful concepts that you talk about in the book is “connectomics”, because of the implications it has in helping us understand who we are and how we become who we are. It is also important because it empowers us to know that we have the ability to change and realize the responsibility that we are who we are as a result of the choices we make. TS: I find the whole connectcome stuff really interesting. That to me was a big a-ha moment when I read about Sebastian’s work. What´s so interesting is that he´s just talking about it in terms of our brain but it was so analogous to the internet also. Here I was looking at these parallels and, in this case, we are completely creating our world connectcome through our connections to the web, and realize that we can consciously grow it. I also was probably most excited about that concept. I had another moment that came towards the end of the book. I was pushed by my editor to really think of what the equivalent of toxic stress on the global brain would be. And thinking about those laws that almost got passed last year that would really change the infrastructure of the Web, would give corporations way too much control, and how that would rewire things in a bad way, there are two ways to look at the global brain. One is that our individual brains are healthy as we contribute and become a part of this larger network, and then there’s the larger network itself. They really are kind of two distinct inner-connected things but they’re both interesting to think about on their own, which I kind of interweave in the book. SC: Based on the research that you have done and your experience with the internet, what can we do to shape a better brain for ourselves, for our children and for the global brain? What are some of the things that you see we can do? TS: I tell everyone I meet to try these Technology Shabbats, because they’ve really changed my life. They’ve both allowed me to reset my mind and soul, and they also make me re-appreciate technology anew every week. It’s a wonderful thing to try. I also think we all need to feel a little bit more empowered with technology. We talk about technology as if it were something that happens to us, we have no control over it, and we’re getting swept away and addicted. All the language we use around it, we need to really flip it and be active. We have an agency in this situation; it is an extension of us; we are growing it; we can mindfully use it; we can demand on the way it’s grown to get more people connected mindfully. We are active participants in this and I think that’s a very empowering place to come from instead of being something that’s happening to us, that we have no control over, which I don’t believe. We are completely creating our world connectcome through our connections to the web, and realize that we can consciously grow it. SC: Using the analogy of the parent but not necessarily with someone who is a child, but with someone like in Mexico, where fifty percent of the people have internet and the other half don’t. Somebody who is not a child, somebody who’s an adult, and already with well-developed habits and interests, but it’s the first time they are going to use this technology and access all this information. What would be your advice on how to go about it? What would be the best use that someone can make out of this technology? TS: I think there needs to be just more of a conversation and mindfulness. I’m going to reference one of my favorite thinkers, Howard Rheingold, who just wrote a book called, Net Smart. It just came out and he gives real lessons about how to be a more mindful participant when you’re using the internet. I highly recommend that book because he really lays it out in a beautiful way. But I think, when you’re following people on Facebook and Twitter, these people become streams of thought in your head. They’re influencing your dreams, your thoughts. 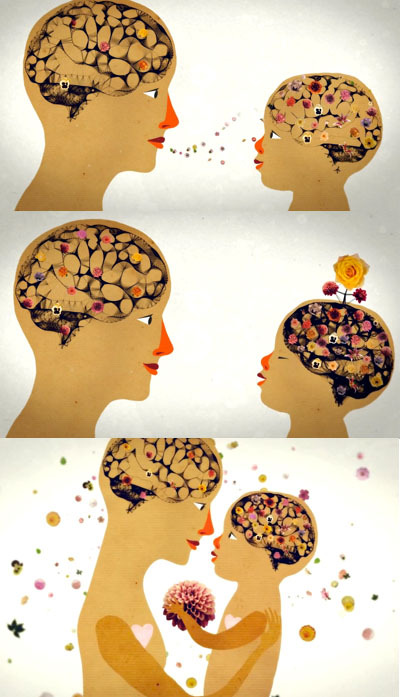 So be careful of who you let into your brain. Know that every person you follow and everywhere you go, you are allowing that into your mind all the time. And I think people need to be mindful of what they’re letting in. I recently unfollowed a whole bunch of people that I thought were just putting a lot of negative stuff into the world. Not that I don’t follow people that I disagree with the way they think, because I want to know what they’re thinking. But if people have a negative edge to them, there’s enough of that in the world. I don’t need to be letting that into my brain all the time. Just the same reason I don’t watch violent movies or I’m trying to be the curator of my experience a little bit more and trying to participate more. I think these Cloud Films show how you can use these tools to not just receive but give back. SC: From Reinhold you quote that this technology, the internet has the potential for the full awakening of consciousness of humanity. You used a lot of analogies in the book and I’m a little bit curious because this is more my own interest and what this publication is about, the link to spirituality. I didn’t see that you used an analogy that refers to spirituality but, at the same time, you did touch on a lot of elements that parallel what many mystical traditions talk about. Was there a reason for that? TS: With my Technology Shabbats, I usually say that I feel like I’m resetting my soul every week. So that, to me, is a very spiritual way. I feel renewed each week reclaiming how my mind is, how my energy is being influenced. So, I don’t know. A lot of times I probably say mindfulness when I probably could talk about a spiritual consciousness. I just use a different word. But I feel very spiritual. I don’t feel very religious. But I feel that being attuned to this larger thing we’re connected to is very spiritual. We are a part of something larger than ourselves and we are empowered and have agency in that. We need to be mindful of how we’re connecting and receiving and what we’re giving out and growing. All of those aspects could be very much framed with the focus of your magazine. I’m trying to make the tent as big as possible. 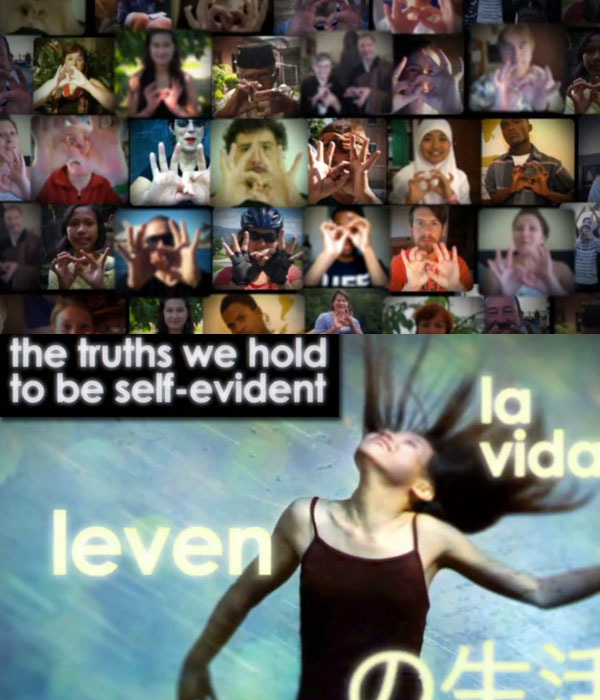 The film, Connected, plays at every spirituality conference and festival. So it’s definitely in that school of thought but, in most of my films, I try to come at it from a way that everyone will come in, even people that might not think of themselves in a spiritual way or in a conscious way but they are. They’re talking about the same thing but I’m trying to come at it from almost a more pragmatic perspective but it ultimately is talking about our inherent connectedness. I come through it environmentally, spiritually, biologically, technologically, politically and then, by the end of this gestalt experience, you’re feeling it. I just try to come at it in a way that we don’t lose anybody. We have an agency in this situation; it is an extension of us; we are growing it; we can mindfully use it; we can demand on the way it’s grown to get more people connected mindfully. SC: Now going back a little bit to the concept of the connectcome. One of the things that I have understood about our brain is that we can change our connections, like you mentioned how a child’s brain is so much more complex than the internet, even though the internet has more Web sites than we have neurons. We have more connections but we also have the capacity to change those connections in innumerable ways. If we take all the people in the world, we can see how the brain has the capacity to make seven billion people with all different personalities. That’s just an example of the potential that the human brain has. What are your thoughts on this potential and do you think that the internet, at some point, is going to reach that kind of potential? TS: That was definitely an exciting moment when we were working on the film, and ultimately the book, just understanding how much more complex the brain is. I mean, it’s just that the numbers are crazy. Especially, a child’s brain, it’s even more complex than an adult’s before it is fully pruned. So I do think there’s going to be a point where the internet is as complex as that but then there’s going to be pruning, too. That’s the thing about the brain. It’s constantly connecting and constantly pruning. So we need to be careful about what’s being pruned, what’s not, and what we pay attention to. What you pay attention to more, gets stronger. And what you pay attention to less, gets pruned. So it’s about a mindfulness of what you’re paying attention to. I have a line in the book and the film, “Attention is the mind’s most valuable resource.” And if you think about it in terms of meditation, I think meditation is all about learning how to direct your attention and not let it slip away, so there are a lot of similarities there.